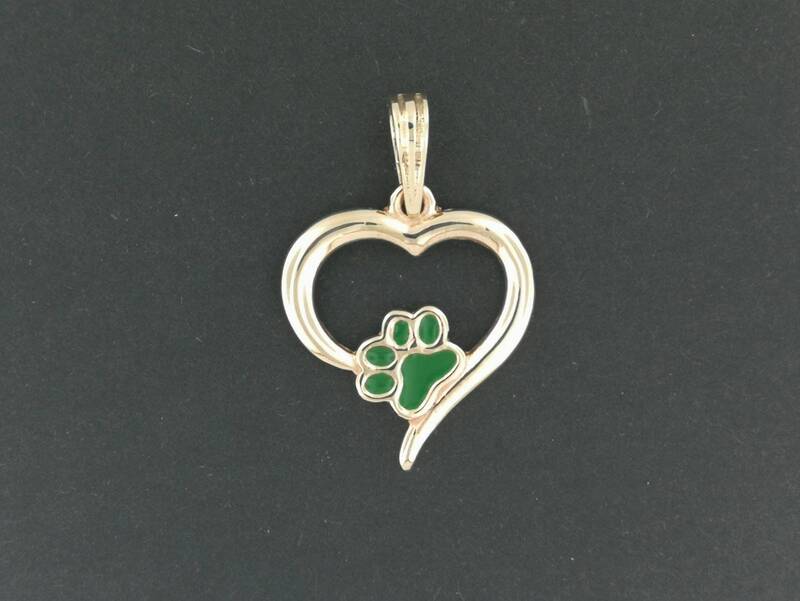 This is a handmade antique bronze heart and paw print pendant. It measures 3.5cm long and 2.5cm wide the inside is treated with fired enamel which you can choose the color of. If you want to have multi colored on it please let me know and I'll see what I can do! 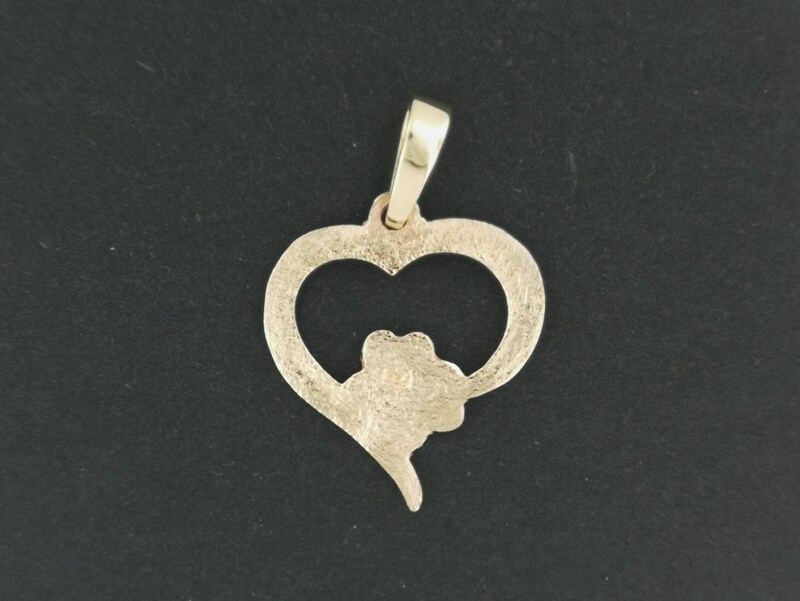 I make alot of custom jewellery, and always looking for new ideas. So if you have any special requests, feel free to ask! Bronze is an alloy that consists of a mixture of approximately 90% copper and 10% tin. Producing bronze is a less toxic process than producing brass as brass is a combination of copper and zinc, and the manufacturing process often produces zinc oxide which is toxic. Because bronze contains copper, it can turn your skin green whether you have an allergy or not. Bronze and copper turn your skin green because when the copper reacts with your sweat and the acids from your skin, it produces copper chloride. Copper chloride is a green substance that then rubs off on your skin. If you are prone to sweating, your bronze jewelry will definitely turn your skin green. This chemical reaction can also be prevented by painting any part of the jewelry that comes in contact with your skin with clear nail polish or clear enamel.